Jaguar Oklahoma City offers a wide selection of certified pre-owned vehicles. And, you may be surprised how affordable a used Jaguar can be. Certified pre-owned Jaguar vehicles are one of the best values on the market. Jaguar produces vehicles with traditional, elegant English refinement and old-world luxury, a brand that turns heads and wins respect. The Jaguar vehicles of today have maintained the distinctive styling, sporty performance and luxurious interiors that have made them famous worldwide for decades. Yet, with models like the Jaguar S-TYPE and X-TYPE, ownership is no longer restricted to the financially elite, especially as a used car purchase. The exhilaration and emotion of Jaguar is attainable through the Jaguar Approved Certified Pre-Owned program. Every Jaguar Approved Certified Pre-Owned vehicle has a spirit and a soul that makes your heart race with anticipation, even when you look at it from across a parking lot. Anything less, and it wouldn’t be a Jaguar vehicle. 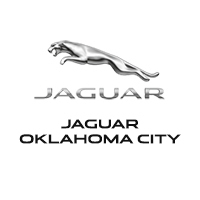 Check out all the used Jaguar vehicles for sale at Jaguar Oklahoma City or view models below. **NO ACCIDENTS REPORTED ON CARFAX**, ***Bob Moore Land Rover***, **EXCELLENT CONDITION**, **PRISTINE CONDITION**, **PANORAMIC SUNROOF**, **NAVIGATION**. Priced below KBB Fair Purchase Price! Odometer is 9705 miles below market average! Awards: * 2017 KBB.com Brand Image Awards Bob Moore Land Rover in Oklahoma City, OK, also serving Edmond, OK and Norman, OK is proud to be an automotive leader in our area. Since opening our doors, Bob Moore Land Rover has kept a firm commitment to our customers. We offer a wide selection of vehicles and hope to make the car buying process as quick and hassle free as possible. **NO ACCIDENTS REPORTED ON CARFAX**, ***Bob Moore Land Rover***, **EXCELLENT CONDITION**, **PRISTINE CONDITION**, **ONE OWNER LOCAL TRADE**, **ONE OWNER**, **SERVICED HERE**, **NON SMOKER**. Awards: * 2016 KBB.com Brand Image Awards Bob Moore Land Rover in Oklahoma City, OK, also serving Edmond, OK and Norman, OK is proud to be an automotive leader in our area. Since opening our doors, Bob Moore Land Rover has kept a firm commitment to our customers. We offer a wide selection of vehicles and hope to make the car buying process as quick and hassle free as possible. Odometer is 1017 miles below market average! Bob Moore Land Rover in Oklahoma City, OK, also serving Edmond, OK and Norman, OK is proud to be an automotive leader in our area. Since opening our doors, Bob Moore Land Rover has kept a firm commitment to our customers. We offer a wide selection of vehicles and hope to make the car buying process as quick and hassle free as possible. ***Bob Moore Land Rover***, **EXCELLENT CONDITION**, **PRISTINE CONDITION**, **SUNROOF**. Odometer is 3561 miles below market average! Awards: * 2016 KBB.com Brand Image Awards Bob Moore Land Rover in Oklahoma City, OK, also serving Edmond, OK and Norman, OK is proud to be an automotive leader in our area. Since opening our doors, Bob Moore Land Rover has kept a firm commitment to our customers. We offer a wide selection of vehicles and hope to make the car buying process as quick and hassle free as possible. **NO ACCIDENTS REPORTED ON CARFAX**, ***Bob Moore Land Rover***, **EXCELLENT CONDITION**, **PRISTINE CONDITION**, **ONE OWNER LOCAL TRADE**, **ONE OWNER**, **SUNROOF**. Bob Moore Land Rover in Oklahoma City, OK, also serving Edmond, OK and Norman, OK is proud to be an automotive leader in our area. Since opening our doors, Bob Moore Land Rover has kept a firm commitment to our customers. We offer a wide selection of vehicles and hope to make the car buying process as quick and hassle free as possible. ***Bob Moore Land Rover***, **EXCELLENT CONDITION**, **PRISTINE CONDITION**, **ONE OWNER LOCAL TRADE**, **ONE OWNER**, **PANORAMIC SUNROOF**, **NAVIGATION**. Odometer is 10230 miles below market average! Bob Moore Land Rover in Oklahoma City, OK, also serving Edmond, OK and Norman, OK is proud to be an automotive leader in our area. Since opening our doors, Bob Moore Land Rover has kept a firm commitment to our customers. We offer a wide selection of vehicles and hope to make the car buying process as quick and hassle free as possible. **NO ACCIDENTS REPORTED ON CARFAX**, ***Bob Moore Land Rover***, **EXCELLENT CONDITION**, **PRISTINE CONDITION**, **ONE OWNER LOCAL TRADE**, **ONE OWNER**, **PANORAMIC SUNROOF**, **NAVIGATION**. Odometer is 5077 miles below market average! Bob Moore Land Rover in Oklahoma City, OK, also serving Edmond, OK and Norman, OK is proud to be an automotive leader in our area. Since opening our doors, Bob Moore Land Rover has kept a firm commitment to our customers. We offer a wide selection of vehicles and hope to make the car buying process as quick and hassle free as possible. ABS brakes, AM/FM radio: SIRIUS, Compass, DVD-Audio, Electronic Stability Control, Emergency communication system, Front dual zone A/C, Heated door mirrors, Heated Front Bucket Seats, Heated front seats, Illuminated entry, Low tire pressure warning, Navigation System, Power Liftgate, Power moonroof, Remote keyless entry, Traction control. Odometer is 1138 miles below market average! Bob Moore Land Rover in Oklahoma City, OK, also serving Edmond, OK and Norman, OK is proud to be an automotive leader in our area. Since opening our doors, Bob Moore Land Rover has kept a firm commitment to our customers. We offer a wide selection of vehicles and hope to make the car buying process as quick and hassle free as possible.